Destroyers are the dedicated frigate hunters of Eve. With 7 or 8 small guns apiece, destroyers put out far more damage than anything else of their size or cost. This firepower is backed up by substantial range and tracking bonuses (the whole class receives a fixed 50% bonus to optimal range and a 10% per level bonus to turret tracking speed), giving the destroyer no problems hitting its target both far away and up close. While larger and less nimble than a frigate, destroyers remain significantly more manoeuvrable than a cruiser and their signature radius remains much closer to that of a frigate, making the destroyer class proficient at getting under the guns of larger ships. They're also generally slightly tougher than t1 frigates, although their large number of high slots leaves then with with slightly fewer mids and lows than some of the front line combat frigates. Given their strong tracking and excellent damage output, destroyers pose a significant threat to anything frigate sized. This makes destroyers an excellent choice for newer PVPers, giving you the potential to tangle with faction and t2 frigates and significantly increasing your range of available targets over those you would be able to engage in a t1 frigate, and all requiring relatively little in the way of isk or skillpoints. With the popularity of rifters, it's not surprising that the thrasher is quite a common sight. However, this ship has much more going for it than simply being a step up from a popular pvp frigate. With an 8/3/2 slot layout and 7 turrets, the thrasher is fairly versatile in terms of fitting. Along with the standard destroyer bonuses to range and tracking, the thrasher also receives a damage bonus - the only destroyer that does. The fact that this bonus is to damage rather than rate of fire is quite significant, as we'll see in a moment. First of all, let's talk about autocannon thrashers. Due to the low powergrid requirement of autocannons, an AC thrasher has heaps of fitting room available - much more so than most other destroyers. A medium shield extender is generally the most common choice for tank, however a 2 slot armour tank with a 400mm plate is also fairly common. Either option can mount either an afterburner or mwd (MWDs tend to be more popular due to the dessy's lower overall speed), and there's even room for a neut or nos in the last high slot, making the AC thrasher a very well rounded boat. A MWD thrasher will do a little under 2km/s, while an AB fit will generally be closer to 750m/s - noticeably slower than a frigate, but still the fastest destroyer. The damage output of the AC thrasher is excellent, with about 350dps being fairly normal - that's almost double the firepower of a typical assault frig - and with autocannons its tracking is exceptional. The tank is weaker than an assault frig, but higher base HP makes it naturally stronger than most t1 frigs, with between 5k and 8k EHP on a fairly standard fit. The optimal range bonus given to the dessy class in general doesn't really add much to falloff-centric autocannons, and with few low slots for tracking enhancers you can expect the range on the AC thrasher to be nothing too special - about 1+6km with close range ammo or 2+9km with barrage. Either a rocket launcher, neut, or nos is popular in the thrasher's 8th high slot - of these, the neut is the only one which might substantially affect your own tactics - if you're flying something active tanked, keep it in mind. Shield tanked AC thrashers won't be packing a web, although those with an armour tank (or pure damage control tank - more common than you'd expect) may be carrying one so be wary. Providing the thrasher either has no web or has a MWD instead of an afterburner, most frigates should be able to dictate range if only due to their higher base speed. That said, the thrasher is relatively dangerous anywhere inside scram/web range and getting under its guns is pretty futuile given that it can out-track almost anything. In a larger ship, be careful of letting the thrasher get in under your guns - it'll be easier to dislodge than a frigate would, but its massed autocannons will make mincemeat of drones and it has more than enough dps to make a cruiser pilot regret letting them in close. In anything smaller than a cruiser, expect a challenging fight - even interdictors such as the sabre (the thrasher's t2 equivalent) can potentially be outmatched by this fearsome little ship. Your best bet in taking one on is probably to keep range and either blast it with larger guns or pick it apart from a range at which it can't respond, if you're able to do so. Of course, you should first make sure it's definitely an autocannon thrasher you're dealing with, as we'll discuss in a moment. The good news for you is that the arty thrasher is generally very lightly tanked itself since all its grid is taken up by guns, and if you're able to survive the initial couple of volleys you should find it goes down quickly enough. Thanks to its substantial tracking bonus, expect the thrasher to get hits in even at close ranges (although you should still be able to reduce the quality and frequency of them significantly), and be careful making any manoeuvre which is likely to reduce your angular velocity. One way or another, any brawl against an arty thrasher is likely to be short. Range on the arty thrasher is fairly strong thanks to the ship's optimal range bonus - generally about 11+11km with close range ammo and 280mms, or potentially as far as 53+14km with tremor and a dedicated sniping setup. Arty thrashers are particularly effective in small wolfpacks, where three or more thrashers can knock out lighter targets such as scouting interceptors with their initial volley. These ships can also be very effective for hit and run attacks; warping in, splashing a target with a single volley, and warping out before their opponents can respond in kind. Be very careful if you come through a gate and find multiple thrashers sitting on the far side - if you're not able to warp out (for example, because of a bubble), your angular velocity during the first few seconds of your escape is going to be crucial! With a large enough group, even larger targets can be in danger (although in the solo and small gang situations we're focusing on, any large gang is a potential problem. As a minmatar ship, the thrasher can put out any damage type. Explosive, EM and thermal tend to be most common (the high damage ammo types), although all variants feature a kinetic element. At longer ranges (autocannons with barrage and arty with tremor), expect a more predictable explosive with kinetic. Since the AC thrasher is usually shield tanked, thermal or EM damage are the better choices, with explosive or kinetic preferable against armour tanks. Due to the innate minmatar EM resist, I'd recommend thermal as a good choice if you're unsure (which also happens to be the best damage type to use against the un-tanked variant. If you thought the damage output of the thrasher was good, the catalyst continues to amaze! It gets 8/2/3 slot layout and 8 turrets (plus one drone!) compared to 7 on the thrasher and cormorant. It also receives a falloff bonus, which while fairly useless for rails does give blasters a little more range flexibility. Fitting a tank to the catalyst can be difficult unless it uses electron blasters or 75mm rails (which are generally eschewed on account of their poor range and dps respectively), however as with most gallente ships it has excellent structure HP, meaning a damage control alone can provide a moderate buffer of around 5k-6k EHP. Because of this, those extra low slots are generally used for beefing up the catalyst's already significant damage output, rather than for additional tank. In terms of raw numbers, a fairly normal high damage fit for a blaster catalyst can put out close to 500dps using CN antimatter - more than most cruisers. The main weakness of the catalyst is range control - it's slightly slower than the thrasher (typically 1.7km/s with MWD, 700m/s with AB), and it needs to be relatively close to bring its full damage to bear. With only two mid slots the catalyst can't fit a web either, which can make holding a solo target at blaster range something of a challenge. The catalyst's range isn't as short as most other blaster ships however; with its optimal and falloff bonuses a catalyst with ions can hit out to around 1.5+4km with antimatter, or 4+5km with null (neutrons are difficult to fit, although you do see them). If you're able to fight outside that range it should be fairly easy to simply keep this ship at arm's length and avoid the majority of the it's damage output, and even just forcing it to load null is a start. If you're not able to keep range or you find yourself starting the fight at point blank, expect a very challenging fight unless you have both a stiff tank and a weapon system capable of tracking (or otherwise hitting) a target at that range. While most catalyst pilots opt for the pure damage control tank, it's not uncommon to see them fitting a small to moderate armour tank too (either a light buffer, a rep, or both). If present, this will generally be stronger than the light buffer tank you might encounter on a thrasher, but not enough to cause a significant problem. It will also likely mean a reduction in the catalysts own damage output due to the loss of slots for magstabs, and potentially range too if the gun size is dropped. In a gang, the catalyst's dps output shouldn't be underestimated, and its fairly weak tank means that it should probably be primaried early on. An effective tactic for blaster catalysts is to join the fight once it's already underway and when primaries have been called, allowing it to quickly close range on the already tackled targets without facing incoming fire itself. Since it generally has to get close before it can deal damage, the catalyst is generally less dangerous to light suppose ships than the thrasher or coercer, since they should usually be fast enough to evade it. I haven't really mentioned rails on the catalyst, and that's for a reason - you don't really see them. It's possible to do, and the rail catalyst still has relatively strong damage output, however its falloff bonus doesn't really help with optimal-heavy railguns and those looking for a longer range option generally find any of the other three dessys better suited to the task. As a blaster ship, the catalyst's damage output will be all or mostly a mix of kinetic and thermal (more kinetic up close, more thermal at range). Since it's generally damage control tanked, your own damage type doesn't really make much difference (although you might want to go with explosive or kinetic, just in case it's fitting an armour tank). As with all caldari hybrid boats, the cormorant seems to have been designed for sniping - it gets a 10% bonus to optimal range per level (on top of the 50% fixed bonus all destroyers receive), allowing it to hit at ranges that other destroyers can only dream of (potentially as far as 95+12km on a full sniping fit, although this is fairly uncommon). In terms of slot layout, the cormorant has 8/4/1 with 7 turrets. With one low slot however, the damage output of the cormorant starts low and is difficult to change. While the range of a sniping rail cormorant is impressive, the damage it puts out at this range is pretty poor and it doesn't have the alpha strike of the thrasher to make flyby sniping really viable. A mid-range rail cormorant is probably more of a threat, dealing moderate dps at 15-20km and putting pressure on lightly tanked ships like interceptors trying to tackle another target. Blaster cormorants are also fairly popular - while they lack anything like the raw dps output of the catalyst, the cormorant can bring to the table two things that the catalyst lacks: a web, and a strong tank. With 4 mid slots the cormorant is a natural shield tanker, and a medium shield extender is fairly standard for a blaster fit. Unlike the thrasher, the cormorant's powergrid is quite weak and blasters are grid-intensive, meaning fitting mods will likely be required in order to fit one (either giving up the ship's only low slot for a MAPC, or relying on rigs to make room. This also means that the cormorant is less likely than the thrasher to be fielding a neut or nos in it's 8th high slot since it simply lacks the grid to do so. In general, the blaster cormorant is less of a threat than an AC thrasher, however it's a flexible ship and has the advantage of being constantly underestimated (a mistake which I hope, after reading this, you won't be so quick to make yourself). The web provides blaster cormorants with relatively good range control (although it's still generally the slowest of the dessys, at 1.5km/s under MWD or 650m/s with AB), and its optimal range bonuses take a little bit of pain away from its usually short ranged blasters - around 2+2.5km with antimatter/3+1km with void, or a relatively good 6+3.5km with null. Despite not quite having the firepower of the other dessys, the cormorant still puts better dps than most assault ships (typically around 250 with antimatter) and fields a stronger tank than the thrasher (usually around 8k EHP). It's worth noting that due to its generous allocation of mid slots a cormorant in gang will often be set up as fast-locking tackle or electronic warfare rather than as an anti-support dps platform. This can potentially make the cormorant a greater threat to your gang than you would assume, particularly when packing tracking disruptors or something similar. What it also means of course is that tank is likely to be minimal, so removing it from the field should be easy. As a shield tanker, EM or thermal damage is generally the best way to deal with the cormorant (since the rigs are often used for powergrid, EM is usually the best bet). Its own damage output will be a mix of kinetic and thermal. If the cormorant rules long range and the catalyst dominates at point blank, the coercer is most definitely the king of mid range damage. While all long-ranged turrets benefit from the destroyer's optimal range bonus, pulse lasers are the only close range weapon system which is heavily optimal ranged based (as opposed to autocannons which are primarily falloff, and blasters which are a mix). This means that while AC thrashers and blaster cormorants/catalysts are limited to fighting close, a pulse coercer with scorch can hit out at close to maximum point range for almost its full damage. That damage is pretty nice too - with a 8/1/4 slot layout and 8 turrets, the coercer has strong base damage and plenty of low slots with which it can enhance that. It's bonus to turret cap useage isn't really exciting, but with 8 turrets it's definitely needed! The coercer's big disadvantage of course is the one we already discussed when we looked at the retribution - 1 mid slot. however thanks to its excellent damage output, the coercer can actually be a surprisingly good solo ship - it can kill frigates so quickly that by the time its prey realises the fight is not going to go their way, it's often too late for them to escape. Because of this and its impressive range, the coercer actually finds quite a bit of use as a kiting ship - enticing lightly tanked frigates to give chase and then taking them down as the frigate pilot attempts to tackle it. 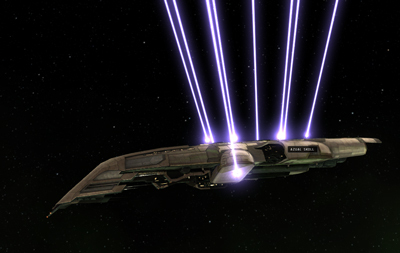 A kiting coercer generally features the largest pulse lasers available, a MWD, and low slots dedicated to damage, range and speed. With a single speed mod, an MWDing coercer is about as fast as the thrasher (1.8km/s or so), with good agility and able to put out almost 300dps to typical ranges of 22+3km or thereabouts. Should a target get in close, the coercer can instantly switch crystals to put out upwards of 350dps at around 7+3km, all with the exceptional tracking native to the destroyer class. The weakness of the kiting coercer is its fragility - they're generally completely untanked, leaving them with about 3.5k EHP and no way to escape tackle once scrammed. Frigates should be wary of the coercer's damage output even up close, however its survivability against any larger ship on the field relies entirely on its ability to evade tackle and thus evade fire. In addition to the popular kiting fits, some coercer pilots will use their high low slot count to fit a decent armour tank (although doing to requires dropping to smaller turrets in order to conserve grid). An armour tanked coercer is generally one of the toughest destroyers (typically around 10k EHP with the potential for a mix of buffer and rep), however it's also slower - usually around 1.6km/s with MWD or 600m/s with AB (with AB fits also generally being tankier). Tanked coercer are generally fit as brawlers with afterburners and pulse lasers, although due to their lower damage output they generally make poor solo ships and are relatively uncommon. Beam coercers are equally are, and aren't substantially different to a pulse coercer other than in terms of range and tracking - range on beams is less impressive than with arty or rails, and without any possibility of a web they are easy to counter simply by getting close. In all, the kiting coercer is by far the biggest threat, at least against small ships (due to its lack of tackle, the coercer in general is not much danger to bigger ships unless it has friends to provide tackle). Treat kiting coercers as you would any other kiting ship - avoid chasing them if you're not confident that you can get tackle quickly, and try to draw them close before making your move if possible. Remember that it can't tackle you, and make the decision to get out early - if you leave it until the last minute, then it's probably already too late. In gang, be aware of the coercer's strong damage output, especially if you're flying light ships - a pulse coercer presents a significant threat to light tackle and support. That said, it can't pin you down so it should be fairly easy for the more fragile ships in your gang (such as fleet inties and ewar) to evade it providing they pay close attention to their surroundings. Interdictors are an interesting class. While technically they're t2 destroyers, these are actually very different ships and are specialised for a very different role. In nullsec space, interdictors are capable of dropping warp disrupt probes - these function exactly like anchorable 'bubbles', except that they are temporary (lasting for 2 minutes). For those of you without nullsec experience, bubbles are effectively a form of area-of-effect warp disruption, and can also be used to drag people out of warp away from their intended location, with some limitations (it has to be on grid with their destination, and in alignment with the direction they are travelling). This is a very useful fleet role, and most interdictors you encounter will be set up with this role in mind and everything else secondary. In terms of combat ability, interdictors vary quite wildly. These ships don't receive the range bonus of the destroyers and have slightly lower base HP, meaning that in most cases destroyers will outperform them one on one. They are however significantly faster and have more flexible slot layouts. Like destroyers, dictors excel at fighting small ships, with large numbers of small guns (or light missiles/rockets) and bonuses designed to increase damage against small, fast targets. All four dictors are actually capable of mounting a fairly fearsome combat fit if they forego the bubble launcher, however this is very rarely done due to the utility that a bubble provides. Bubble launchers consume 100 cpu apiece, and interdictors are very tight on cpu as a result - despite having a higher count of mid/low slots and a t1 dessy and the need to fit a bubble launcher, they generally have only marginally more base cpu. This makes fielding a viable combat fit as well as the bubble quite difficult, although some ships in the class fare better than others as we'll see. Interdictors have large signature radii (about the same increase over destroyers that destroyers have above frigates), and this combined with the incredible utility presented by their bubble launcher (effectively allowing them to tackle a whole gang at one) makes them priority targets in most situations. This has given the class a reputation as flying coffins, and in larger gangs a 'suicide dictor' (i.e. a cheaply fit interdictor fit purely to drop a bubble and then get out or die) is fairly common. In small gang or solo however, this propensity for being primaried is far less of a handicap, and interdictors can be both incredibly useful and really quite powerful. Before we look at the ships in detail, it's worth mentioning the common 'double bubble cloaky' dictor fit. For fleet work, most interdictors fit two bubble launchers (letting them drop a second bubble without having to wait out the 1 minute cooldown on their bubble launcher), and a cloak. This takes up a huge amount of cpu so low slots tend to be stacked up with co-processors, with propulsion, tackle, and shield tank in whatever slots are remaining (the eris is the only dictor which is regularly armour tanked, but even there a shield tank isn't uncommon). It's fairly normal for double bubble dictors to fit no weapons whatsoever, so if you catch one solo it should die very easily. 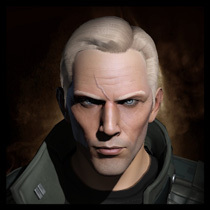 However the cloaky dictor isn't really a solo fit, so if you see a dictor alone, expect either a gang close by or for it to have a more combat-oriented fit (some cloaky dictor pilots will team up with falcons and other cloakies to camp nullsec pipe systems, be warned). Since all double bubble dictors are fairly similar, I won't spend time discussing them for each ship individually - just apply this paragraph to each entry! The sabre is essentially a pimped out AC thrasher - it has one additional mid slot (giving a 8/4/2 slot layout with 7 turrets), and replaces the thrasher's optimal bonus with a more useful falloff one. Its dps output is effectively the same, although its tank is tends to be marginally weaker. The sabre has quite a lot less powergrid than the thrasher so an arty fit isn't really viable, however it has just enough room to fit a rack of autocannons along with a shield tank MWD, scram and web (or occasionally double shield extenders, for a more impressive tank). Excluding the cloaky dictor fits mentioned above, this is effectively the cookie cutter combat sabre. The fact that most sabres tend to be fit the same is both a blessing and a curse - while it means they're quite predictable it also significantly reduces the chances of encountering one with a really terrible fit (something which is really common with the interdictors). I've never seen an armour tanked sabre, and while an untanked fit is more common than I'd expect, the vast majority follow the shield tanked option mentioned above. Unlike frigates and destroyers, interdictors are very rarely afterburner fit - a MWD is all but essential to allow the dictor to escape its own bubbles and to catch any targets which are attempting to escape that bubble, so expect almost all sabres to fit one. It's also worth noting that the sabre is the fastest interdictor by some margin at around 2.5km/s (and interdictors are already faster than their t1 counterparts by some way), which makes the sabre potentially faster than many frigates. This is important to know when you're trying to decide whether to attempt burning out of a sabre's bubble or crashing back to the gate! In all, the sabre is probably one of the toughest ships to fight solo in a similar-sized craft; it can put out the same exceptional damage as the thrasher with the same tracking, and has a more flexible range thanks to its falloff bonus (0.5+7.5km with close range, or 1+11km with barrage). This, combined with the likelihood of a web, makes it very difficult to evade the sabre's fire. Since most sabres are fit with a MWD you may find you have some limited range-dictation ability if you have a web yourself (especially if the sabre is fitting dual shield extenders), however the advantage that this gives you is limited since the sabre can hit fine just about anywhere. The sabre's tank and sig radius work in your favour however - you should be able to hit it reliably, and a tough AF or destroyer should be able to give it a good run while a BC or cruiser should be able to deal significant damage for so long as they can keep the sabre from getting under their guns (if you're flying such a ship, except the sabre to close range as quickly as possible). The sabre only receives a very watered down version of the t2 racial resist bonuses (it gets a 10% bonus to EM resist on both shield and armour and nothing to thermal, although this is on top of the extra 10% EM armour resist that all minmatar ships get), meaning thermal and EM are still the best damage types (due to the increased EM armour resist, thermal tends to be best on balance). As with the thrasher, expect any damage type from the sabre, with a preference for explosive/kinetic at range. Incidentally the sabre is also the only interdictor I've heard of being used in high and lowsec, albeit not often. In those cases all the above continues to apply, however it's likely to fit a nos or neut in its spare high slot in place of the bubble launcher. And is to all intents and purposes, just an AC thrasher with more range/speed and a web. With the catalyst being so powerful in the dps department, you'd probably expect the eris to be something similar. Unfortunately it seems CCP expected the same thing, and gave the eris a split weapon system to mitigate it. The eris gets an additional low slot compared to the catalyst, with 8/2/4 all told, and keeps its counterpart's tracking and falloff bonuses too. Unlike the catalyst however it only gets 5 turret slots (plus the token drone), and its extra bonus from the interdictors skill goes to missile launcher damage - something of a waste for a weapon system that's only filling 2 slots at most. Unfortunately, this also ties in with the eris' second major drawback - cpu. At 43, the extra cpu that the eris gets over its t1 counterpart is the lowest increase of all the interdictors, considering it needs to spend 100 of that on a bubble launcher. It's also swapped 2 of its weapons for more cpu-intensive missile launchers, which doesn't help. In fact, just to fit the eris with what many would consider to be the bare minimum - 5 ion blasters, 2 rocket launchers, bubble launcher, MWD, scram and a damage control - requires a co-processor. That's with 3 low slots completely empty. (Note that with electron blasters and a named damage control you can make a viable fit without a co-proc, but it's not ideal). The result of this is that despite having plenty of low slots, the eris isn't able to fit any damage mods and its damage output remains poor compared to its t1 cousin. All that said, the eris' dps should not be discounted - it's still has better dps than most frigates at a little under 300. However, those who were expecting something more impressive than the catalyst are likely to be disappointed. Thankfully, there are some good things we can say about the eris too! While the eris is definitely lacking when it comes to cpu, its powergrid is stronger than all its counterparts (in fact it's the only interdictor to have more powergrid than its t1 variant, all the others get significantly less). This along with the 4 low slots lets the eris field a fairly beefy armour tank - a 400mm plate fits quite easily with electron blasters, and it's even possible to fit 2 of them! (although this means losing the weapons, so it's only really suitable for fleet work). Since the heretic actually loses a low slot over the coercer, this makes the eris the most popular dictor for armour tanking gangs working with logistics, and it sees quite a lot of use there. Despite this, the majority of erises I've encountered have fit either no tank at all (not even a damage control to take advantage of the infamous gallente structure HP!) or very little, opting for speed or fitting mods instead. This makes them more effective at catching targets, but also often means that you can kill them quite quickly - even if you're solo and they're not. There are few feelings more satisfying than getting tackled by an interdictor and simply killing it under the noses of its gang, and even when you don't make it out yourself it can add some satisfaction to the loss. If you're taking on an eris solo, figuring out what their fit is should be fairly high on your list of priorities - unlike the sabre there is no real standard setup. A MWD is almost a given, as is a scram, but they could be fitting tank or speed, blasters or rails (or they could be double bubble cloaky fit and simply unlucky)! Tank and weapons are the most important questions; a blaster eris can still put out better dps than almost all frigates, but a 75mm rail eris will be far less dangerous. Similarly a well tanked eris could be a difficult target, however a speed or fleet fit eris is likely to go down quickly. Remember that the eris is unlikely to have a web (unless they lose the scrambler and rely on their bubble to keep you from warping), and since they generally fit MWDs you'll probably find you're able to dictate range against them fairly easily. Bear in mind of course that thanks to their falloff bonus, blaster erises can still hit for decent damage out to around 7km with ions and null or 9km with neutrons. Erises receive a small bonus to kinetic resists on both shield and armour, although it isn't enough to warrant switching ammo if you get a kinetic damage bonus (caldari, I'm looking at you). If the eris is tanked, explosive damage is the best choice, followed by thermal (which incidentally is the best damage type if it's untanked/structure tanked, followed by EM and explosive about equally). Expect the eris' damage output to be a mix of thermal and kinetic at all ranges. The flycatcher is noteably different to the cormorant on which it's based, in that it fields missiles instead of rails. With an 8/5/1 slot layout the flycatcher is very mid-slot heavy. Thankfully, it gets a reasonably strong cpu to accommodate this, making it the least restrictive of the interdictors on this front (which is probably for the best, seeing as it hasn't got many low slots to use for co-processors!) In terms of damage output, the flycatcher has 6 launcher hardpoints with bonuses to kinetic damage, missile velocity (i.e. range) and a rather cryptic bonus which I believe is to explosion velocity for light missiles only (i.e. not to rockets). The last bonus is a bit odd, both because it's 3% when the heretic gets the same bonus at 5% to both missiles and rockets, and because fitting standard missile launchers on the flycatcher is really quite difficult. With rockets, the dps output of the flycatcher is significantly lower than both of the previous ships (typically somewhere around the 130-160dps mark, at least on paper) and it doesn't have the low slots to augment that at all. With 5 mids slots however, the flycatcher is able to fit propulsion, a MSE, scram, and dual webs - the same combination that makes the hookbill so effective. With dual webs, the flycatcher has strong range-dictation even when fitting a MWD, and with its target brought down to a standstill those 6 rocket launchers will be putting out very consistent damage at any range that chooses (they hit out to around 15km, just outside overheated web range). Alternatively, some flycatcher fits (typically more gang-oriented ones as opposed to solo) may use the additional mid slots to beef up the flycatcher's shield tank via fitting hardeners. This is difficult to do without losing some launchers and/or fitting a co-processor, so while it makes them tougher it also generally makes the ship less of a threat in terms of damage. To fit a full rack of standard launchers, the flycatcher has to either forego the shield extender or fit both a co-processor and powergrid rigs, neither of which is really appealing. Add to this that dictors generally engage inside 20km (since that's the range of their bubble), and there's little reason for a flycatcher to fit standards. I'm sure some people do fit them this way, but I can't remember the last time I saw one. The chances are if you do find one it will have both low dps and a fairly weak tank, so it should present relatively little threat outside of its bubbling capability. Despite its fairly low damage output, a rocket flycatcher can be a tough fight against any similar sized ship or smaller. If it's packing dual webs, the flycatcher is likely to control the range of the engagement and can hold you wherever they like (which will probably be at range given that interdictors are fairly bad at getting under guns, especially against small guns). Since the flycatcher is likely to be MWD fit it probably won't be able to pull range quickly however (and an AB/scram/web frigate will probably still have the range dictation advantage) - even if you're not able to control range for the whole fight, you can mitigate this by closing range as quickly as possible while you're still locking each other and overheating early while you're still there. As with all interdictors, the flycatcher is usually relatively fragile (even with a beefed up shield tank it's no tougher than an assault frig while remaining much easier to hit) - this makes fighting one mostly a case of out-tanking/out-dpsing it, and trying to avoid allowing it to kite out of your effective range. With a small bonus to thermal resists, EM is usually your best bet against the flycatcher (even if they've rigged against it). Unlike most caldari missile ships, the flycatcher's damage bonuses are not to any specific damage type, meaning it could potentially put out anything. However if you're the betting sort, kinetic is still probably the most common. The heretic is quite a departure from it's t1 counterpart, having both a different weapon system (rockets) and a completely different slot layout (8/3/3 with 6 launcher hardpoints, making the heretic the most balanced of the interdictors in terms of slots). Bonuses are similar to the flycatcher, with damage (to rockets only, no particular damage type), missile velocity, and explosion velocity. It also receives significantly more cpu than its t1 counterpart (87 more to be exact), although this is needed to fit its new weapon system and to support more cpu-intensive mid slot items. With 3 mid slots and 3 low slots, the heretic doesn't have an obvious standard fit - like the eris, this is one of those ships where you should expect almost anything. Both a medium shield extender and a 400mm armour plate are valid tanking options, although with either fit it tends to be very tight on cpu, and fitting damage mods is very difficult despite having the low slots to do so. Damage output with rockets is likely to be fairly similar to that of the flycatcher (130-160dps), and without a bonus to standard missiles it's unlikely to see one fitting anything longer ranged than rockets (it does incidentally get 4 turret hardpoints, but with no bonus those aren't particularly useful). The heretic may or may not be packing a single web, however compared to the flycatcher you should find it much easier to maintain your speed (and thus reduce its damage output). The heretic's missile velocity bonus is higher than the flycatcher's, but not by enough to close the gap. In general the rules for engaging the heretic should be similar to those for the flycatcher, albeit with range control being less of a worry - damage output is farly low but consistent, and given that it fields rockets you should aim to keep your speed as high as possible. An armour tanked heretic will generally be quite a bit tougher than a shield tanked one (something close to 10k EHP, whereas 7k is more typical for the shield variant), but neither can take that much of a beating. As with the eris, it isn't all that uncommon to see a heretic very light tanked or not tanked at all, and in these cases they should die very easily. Since it can't easily fit damage mods, the shield tanked heretic usually fits overdrives and as a result is often the fastest dictor around (a typical shield fit can do about 2.8km/s, the armour variant is usually much slower, potentially under 2km/s). Combined with its balanced slot layout, this actually makes the heretic is one of the better interdictors for the actual task of interdicting. In terms of combat ability though, it probably holds the fewest surprises, lacking both the raw damage output of the sabre and eris and the range-dictation capability of the flycatcher. In terms of resists, the heretic gets a small explosive bonus - this leaves EM (if not rigged against it, which it may well be) and thermal as the best damage types if it's shield tanked, and kinetic (followed by thermal) for an armour tank. If in doubt, thermal is likely to work well in either scenario. As with the flycatcher the heretic can put out any damage type it likes, so be ready for anything. Excellent read. I love these ship guides. The Coercer one one scary beast in the right hands. It scares me more than a Thrasher. These are awsome Azual, keep them coming! I have turned your frigate series into a little cheat sheet i keep infront of me when looking for PvP targets and I think I will do the same with this one. I would like to add that if you see a dictor in lowsec it is most likely the case of pimpage solo fit. All of them tend to be quite brutal against frigates. Excellent work, nice to read about PvP ships from a PvP'er rather than some EFT theorycrafting Pro. You've inspired me to train for a Sabre, excellent series Azual! I don't suppose you'd be willing to do a minor update on this article to bring it up to date with the recent Crucible changes? I'll be updating all the articles which saw significant changes in crucible, but not yet - as with the new BCs, I'd like to let the dust settle a little first.